How many teenagers do you think will Google my title?? HEHEHE.. Lately I have been thinking a lot of first Finish Lines. Helping my husband train for his FIRST Half has me reminiscing. I LOVE running with newer runners it is revitalizing. 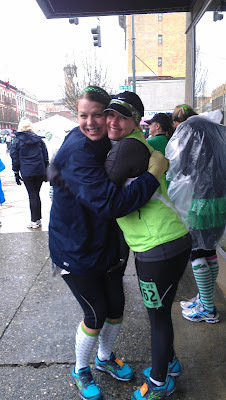 Running with my Big Sister for her FIRST Half Marathon last year was one of the highlights of 2011 for me. When I started running I was overweight and could not run a mile without walking. 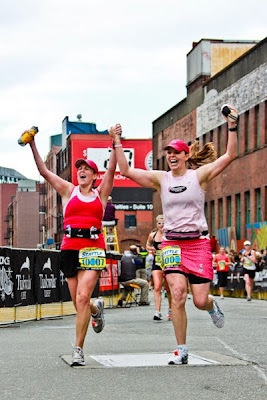 I kept at it and eventually have hit most races in most of the distances up to the Marathon (26.2). Race for the Cure 5K, I was so proud that I ran the entire race without stopping and finished in under 30 minutes!! This was before I started Blogging at Tall Mom. The Athlete in me sparked to life after this race. I had run a 5K when I was 19 and home from college, but there is no record of it anywhere and I cant remember much about it..so I consider this 5K my first. Railroad Days 10K 2009 (REPORT HERE)- I was near my fittest and fastest at this time. 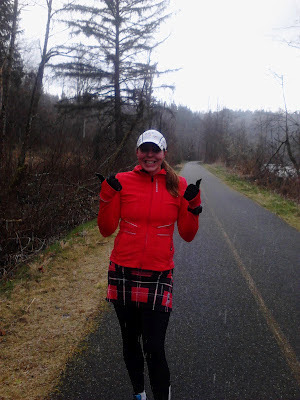 Early in my running "career" and I did not have a grasp on pacing, still dont :) I started too fast, got a side cramp, played leapfrog with an annoying male runner, and finished with the crazy face and T-Rex arms, it was CLASSIC!! Capital City Half Marathon 2009 (REPORT HERE)- I had used a very basic training plan for this race, Half Marathon Rookie Plan HERE, it simply gave the distances nothing fancy. I recommend this FREE plan to people wanting to cross the Half Finish line for the first time, simple to follow and you WILL finish. As a newer runner all I wanted to do was run FAST...so I did, every run... This resulted in a FAST (for me) Half Marathon time, a time I have yet to beat 3 years later. I love getting comments from people who are excited to cross their FIRST "x" distance finish line. It excites me and takes me back to the jitters and unknown. The random emails from readers who have question or anxiety leading up to their races is AWESOME. I love reader emails, it makes the Tall Mom Blog fun for me!! Today every Start/Finish line makes my pulse quicken, but there is something about your FIRST that you will always remember. 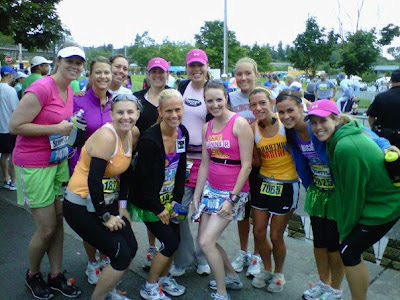 Pick a FIRST race story and tell me about it, link it here too if you have a Blog. Are you about to journey into a FIRST of something?? Tell me about it!! There are times in life when things get a little overwhelming, so far in your 32 years of life you have thrived during those times...BUT lately I have noticed that you are starting to let stress and anxiety take over. You are straying from what makes you smile and letting things bother you more than they ever should. The Tall Mom Blog is your journal, not something that should make you feel pressure when you don't have time to write or get a review done. Running is your stress relief and your hobby, not something that should cause major guilt when you don't lace up your shoes. Fit it in when you can. Make a plan to help guide you. At one point in time you had the body, and drive to go FAST, but remember it is OK to enjoy the journey and the company on the run without being chained to the final pace of the run. You are not 185lbs, you know what you need to do to get there, and if you are not willing to put in the work and avoid bad foods you wont get there. It is OK to be in the 200's regardless of what the BMI charts say. YOU ARE NOT FAT, stop saying it to yourself!! Work has taken over your LIFE lately, but there is an end in site. You will have a BALANCE soon!!! Do not try to fill the time you gain with "Pie in the Sky" goals. It is good to have downtime, family time. You do not have to be everything to everyone. It is OK to say no when you are feeling overwhelmed. To sum it up I feel like you are in a transition phase, a little lost maybe, but getting lost is not the end of the world. Accept that you are a little lost, there may be something you would never find without accepting that you are lost. Find your smile. Find your passion. Find what makes you thrive. DO NOT BEAT YOURSELF UP!!! FYI I will be reviving HIGH FIVE Friday because I LOVE IT!!! Please leave a comment with a HIGH FIVE you would like or if you know of someone else who deserves a HIGH FIVE please share with me!! 1. I am still alive and Flexing my work muscles. I have 11 days left of work in my current position and some HUGE events to close out my 7++ year career. I have not had time to do much but work, eat and sleep.. 12 hours days dont leave much time for blogging, running, etc. I am also on the hiring comittee to find my replacement, what a WEIRD feeling!! It is bitter sweet but I am looking forward to the Work/Life/Wellness balance that my new job promises. Wish me luck this weekend and the next couple weeks!! 2. St. Pattys 5K was WOW!! The gang got together for a FUN FUN meetup! Tall Sister was there too, the entry fee was one of my Christmas gifts to her. It was BRRRRR cold in the 30's and the course was HILLY. My Garmin died, which lead me to go out WAY TOO FAST and get a horrible sideache.. OOPS!! At the end of the day the most fun was just being with a community of women that fill my world with joy beyond measure. It is not about the pace, or the race, it is the journey and I am BLESSED to have great friends along for the ride.. Love these girls!! Always a blast to see Kim and Chelsea surprised us!!! FUN!! Jamie, Jilly, Tiffany, Alma, Zoe with Goober, Kerrie and more... so fun!! Jill and I were trying to keep warm.. notice my XXXL toss-away that I didn't toss away in December.. FYI I didnt toss it again.. hehe We had the LONGEST lunch after the run, but it was still so fun!! 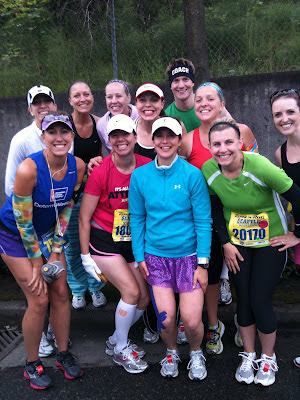 I loved my RazzyRoo headband and socks and my Team Sparkle Skirt!! I am excited for more group meetups and for warmer temps, it snowed the morning here.. Spring?? I think not!! 3. 7 miles of BLISS!! My running has taken on a new form, Love on the Run. On Sunday Tall Grandma watched the Little Studs so Muscle Man and I could get a long run in without the double-jogger. It was 72 minutes of uninterupted time with my bestfriend and we burned some calories at the same time. 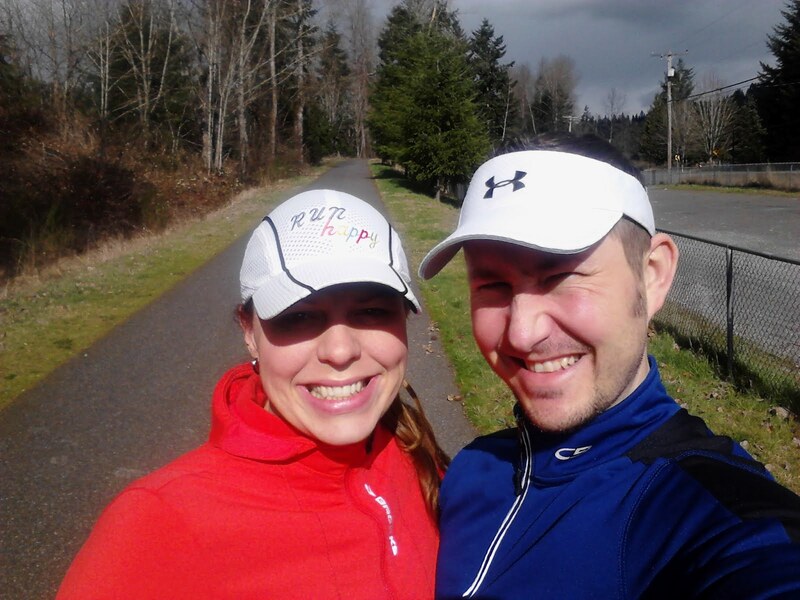 Running with my husband is AMAZING! We are having a great time training together and I am so excited to help him reach his goals. I dont care about my pace, I am able to just enjoy this time.. I could not ask for more. What do you do when work takes ALL OF YOUR TIME? Did you run on St. Pattys? How did it go? Do you run with your spouse or significant other? Rock N Roll Seattle has been on my mind lately.. It is still over 3 months away but my mental planning has already begun. The inaugural race was in 2009 and was my first Marathon. Since I ran the very first RNR Seattle I figured I would make this an annual event and run the Half or Full Every year. So far so good. Each year we get a little better at planning and making it FUN. This was before I had made connections in the Blog World. Muscle Man and my friends were there to support me.. It was not may day, but I FINISHED and earned my medal and title of "Marathoner." 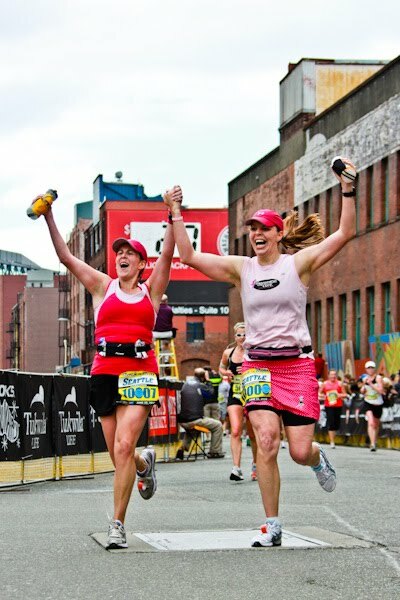 I raced for Susan G. Komen that year and many awesome bloggers came out for the pre-race dinner and the photo-op before the race.. And of course Marlene and I caught this EPIC photo which I have posted about a million times and will continue to post :) My good buddy Jill ran her First Marathon that year, I loved seeing the look of joy on her face at the Finish. This race was a bit of a party for me, I ran with 2 of my favorite people, relaxed and smiling.. Following the race Chelsea set up an AMAZING spread for us with Oranges, M&M's and more.. we relaxed and waited to welcome Kerrie and Zoe into the Marathon club.. It was the perfect day!! So what does this year have in store for us?????? I am registered for the Half Marathon and it is a NEW COURSE.. UGH!!! **I am sure I have missed someone..
Will you be here for Rock N Roll Seattle?? If so, let me know.. Would love to meet you and have you join in the FUN!! Do you have a race you have run every year since the races start? If so, tell me about it.. This weekend it was chilly and windy outside, my family and I are just getting over being sick so Running outside was not an option. I wanted to get some cardio, in so I went to Target and bought Jillian Michael's 30 Day Shred Fitness DVD. This DVD had been recommended to me by Kerrie, Alma and others on Facebook so I figured it was worth a try. What you will need for Level 1? We started with Level 1, both Muscle Man and I thought Level 1 would be a easy... WOW WERE WE WRONG. Jillian is a MASTER!! The price I only spent $9.99 and it is even cheaper on Amazon..
Lunge Exercise was a bit long for one leg, would be better to alternate legs. Have you had a REALLY GREAT workout lately? Tell me about it..
1. I set out for 2012 with the best of intentions with my GOALS HERE. I need to reassess!! Thus far 2012 has not been my year for mileage, speed or anything resembling fitness or diet. I put a lot of pressure on myself and feel guilty when I miss a workout or eat tater tots from Sonic. 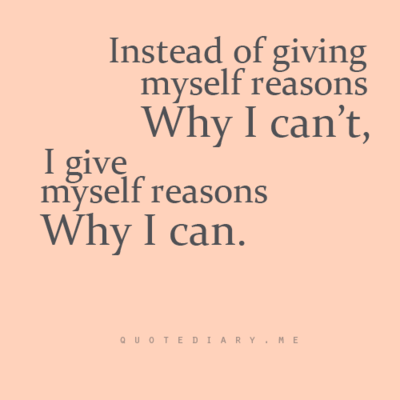 I need Goals that are realistic and to find my fire again. I hate to admit it but burnout has hit me hard, coupled with illness and a busy busy schedule, not a great combo.. My priorities this year will be my family and finding my inspiration. 2. Tall Mom 1,000+++ Club. As much as I would LOVE to host this again this year I don't have the time to commit to hosting a club :( For those who were in the club last year, I have added a spreadsheet for 2012, please go in and add your name if you want to continue to track your miles there. 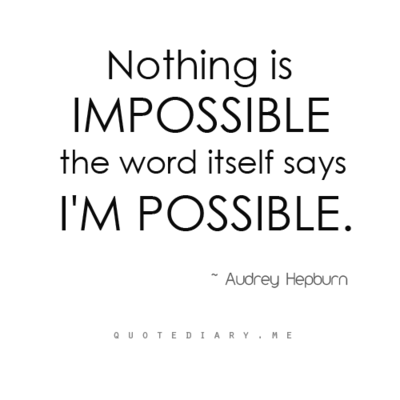 This should not be a deterrent to those who are working to reach this AMAZING milestone!! Keep track of your miles and reach the goal!! I am hoping to get back to the CHALLENGE in 2013. 3. Wow this post is a downer so far...sorry about that. 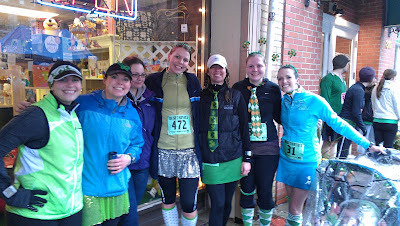 My next race is St. Paddys Day 5K in Tacoma on March 17th. I have not trained to race a 5K, but I will run hard and wear a fun St. Patty's day inspired outfit, including these Razzy Roo Socks and a matching Razzy Roo Headband. 3 Months in to the new year, do you need to reassess your Resolutions? Will you be racing on St. Patty's Day? The Tall Family is SICK!! I tried to avoid it and was doing pretty well until it HIT on Sunday... I can barely breathe let alone run. Yesterday was a SICK day with a very fussy and tired Little Stud #2. I am cleaning the house top to bottom and infusing Vitamins into our daily habits. Since LS#1 has been in Kindergarten I feel like we are ALWAYS sick. It is SUCH a bummer because Muscle Man was starting to get in some mileage in prep for his first half. 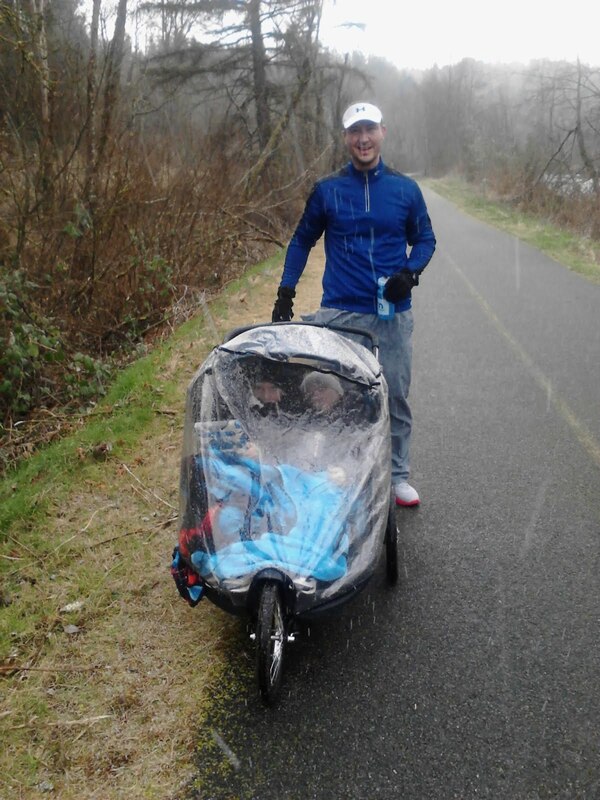 I never posted the pictures from our Snowy6 mile run the last weekend in February.. 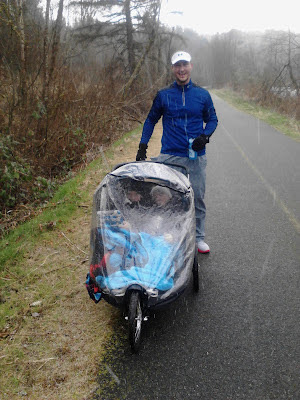 When we parked it was SUNNY and bright, but soon we ran in light snow and sleet. LS#1 played his DS while LS#2 Slept, as always. 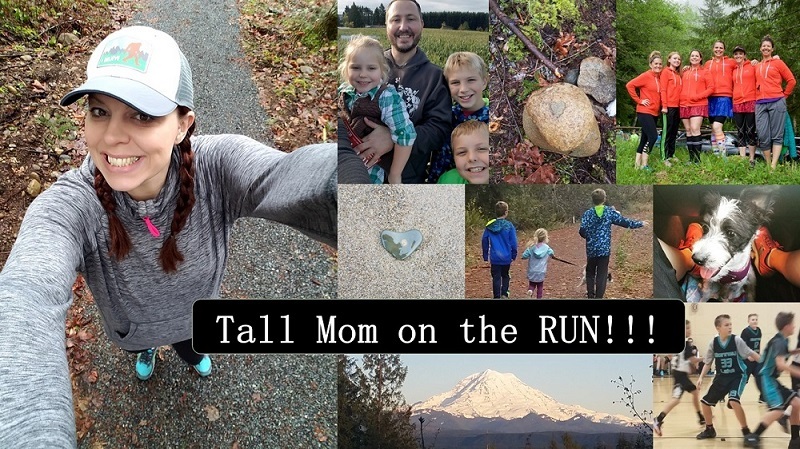 Hoping we can kick the crud and get back to our FUN family runs!! On Friday Zoe and Kerrie put a note out that they would be doing on trail run on Saturday with the High Heel Running Group HERE. 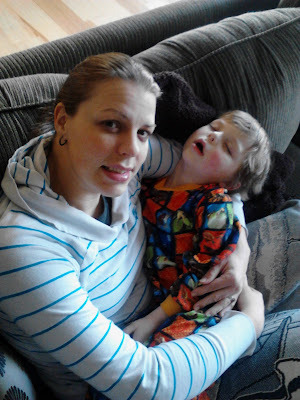 My hubby and boys were sick so I knew that a family run was out, so I texted and we had a plan. We all met a Cougar Mountain, about an hour or more drive form my house. There was a group of about 10 people with various paces. I had no clue what pace I would be, this was my first trail run. We hike often and I spent a lot of my childhood in the woods, but trail running is a new animal. The three of us settled in behind Megan, the group leader. The FAST ladies went on ahead. I was glad to be in the back because wow the HILLS!! I could hardly catch my breath on a few of them. -I was in a constant state of worry that I would trip. -I have crazy respect for people who run for miles and miles on trails it is a KILLER WORKOUT!! We survived and got a little muddy.. 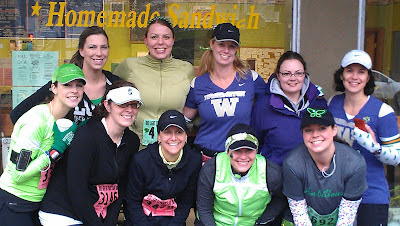 Thanks to the High Heel Running group for showing us around.. After Zoe and I found a little drive-through coffee place and started to warm up with her heated seats.. We all texted how totally wiped we were after the run. I didn't leave the coach the rest of the day Saturday or at all on Sunday.. I give my first trail run two thumbs up, but I doubt I will be going back every week, I am still recovering.. 7 miles on the road is doable, on trails?? WOWZERS!! Tell me about your first trail run. What is the longest distance you have run on trails? ?